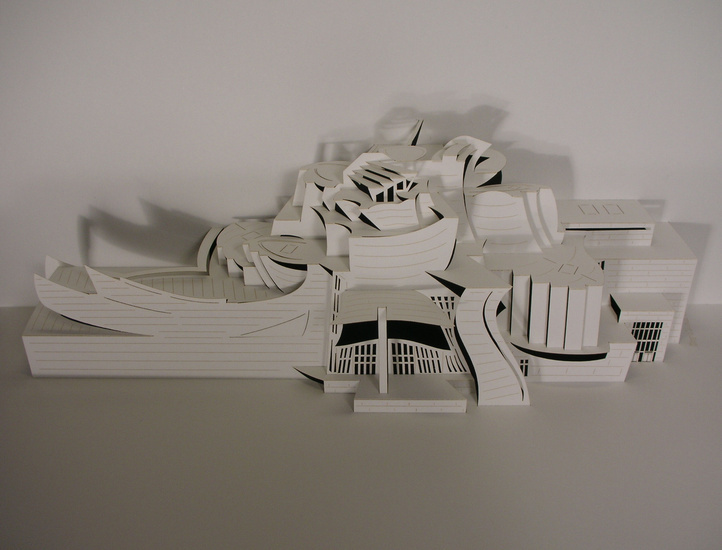 Inspired on the museum in Spain designed by the American architect Frank O. Gehry. The art-piece is cut/folded out of a single piece of paper and embedded in a unique hand-made folder. Used paper brand: Rives Artist 170 gram.